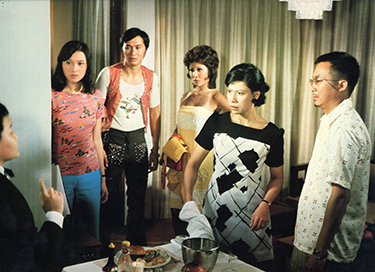 Serving his last remaining days in jail, top conman and gambler Teng (Michael Hui) befriends naive youngster Liu (Sam Hui), who quicky begins to admire his new mentor. Upon leaving prison, the two combine their efforts to gamble on a variety of games and win as much money as they can. Having exausted all options, the two devise an elaborate con with an off-track betting shop being the target. With meticulous execution, the scheme succeeds, but their victim learns of Teng and Liu’s deception. Using all of his criminal hordes, the deceived boss goes looking for revenge, forcing Teng and Liu to play their last game - staying alive.